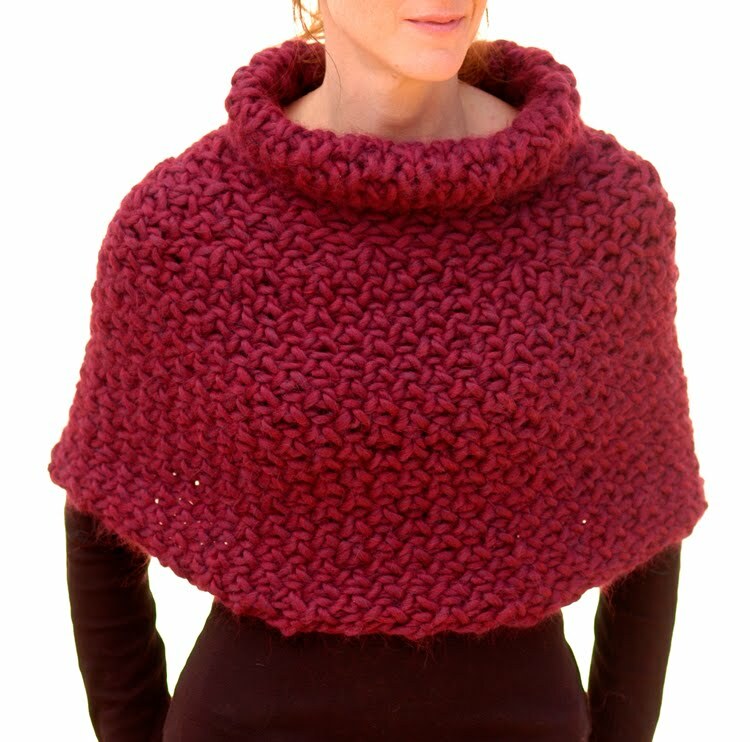 I wasn’t planning on designing another capelet but through etsy I was asked to design a knit version for the crochet Magnum Capelet #4. I love the way the crochet version looks so I wanted to try and mimic the crochet stitch I used and also make it reversible. I like the versatility of being able to wear each side as the right side and to wear it with the collar either up or down. I played around with varying stitches in basket weave thinking that best resembled the crochet capelet but decided instead to improvise more from the brioche stitch and came up with this reversible stitch pattern. Because of a couple techniques used I would rate this for at least an advanced beginner. I used both skeins, you could use a little less but definitely not just one. #19 circulars 24" in length. utterly gorgeous! I love the texture. Would be perfect for fall, when you just need a little something extra! Thanks Julie! 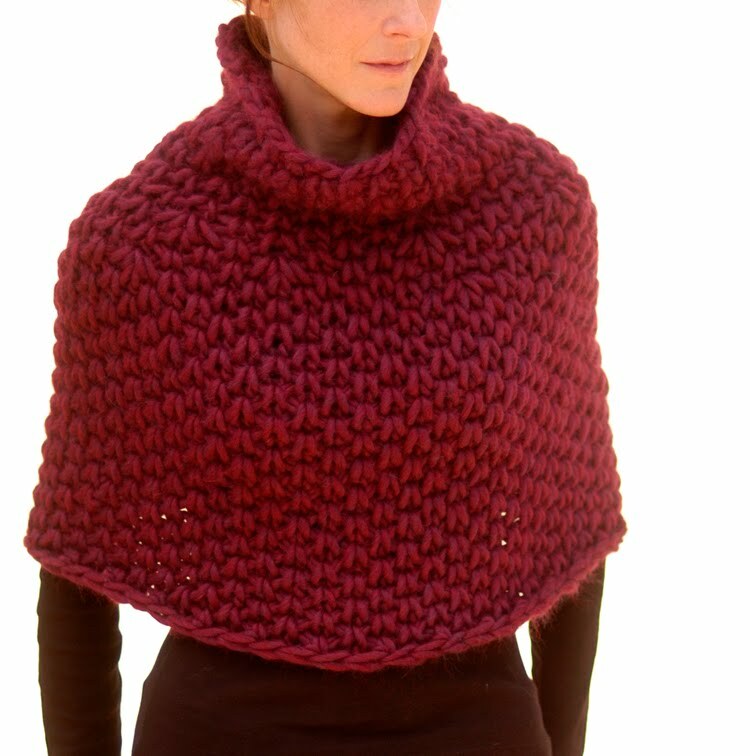 I included the springy bind off you turned me on to, it makes such a difference with a piece like this.